Researchers: Benjamin M. Roberts, Geoffrey Blewitt, Conner Dailey, Mac Murphy, Alex Rollings, Wyatt Williams and Andrei Derevianko, University of Nevada, Reno; Maxim Pospelov, University of Victoria, Victoria, Canada; and Jeff Sherman, National Institute of Standards and Technology, Boulder. 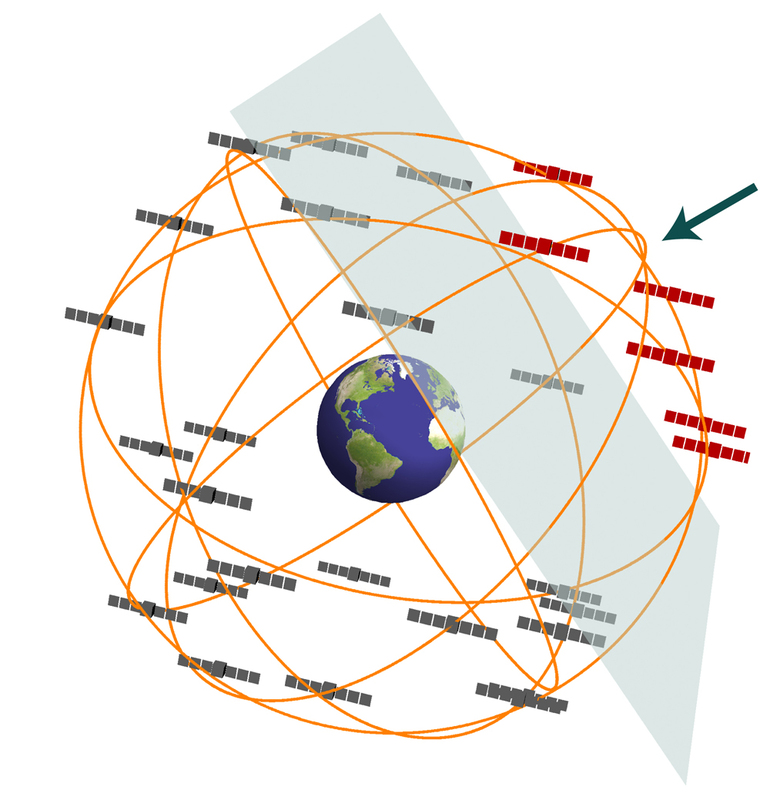 The Global Positioning System (GPS) constellation can be used to detect dark matter. Sixteen years of GPS observations were utilized to look for dark matter passing near Earth. Unfortunately no dark matter fitting some specific characteristics was detected, but the results further define the properties of the universe and measure the accuracy and idiosyncrasies of atomic clocks onboard GPS satellites. The ingenious technique provides a new way to search for dark matter. Most of the matter in the universe is composed of dark matter, but no one really knows what this dark matter is. It has been detected by looking at the gravitational forces affecting large-scale astrophysical objects. There are several ideas about what dark matter is and one possibility is ultralight fields. Ultralight fields might be detectable because they act as coherent structures that can alter certain physical constants that are fundamental to nature as we know it. The U.S. Global Positioning System (GPS) is a constellation of about 32 mid-Earth orbit satellites that are essential for timing, navigation, security and much of daily life. Each satellite sends a microwave signal to receiving stations on Earth. 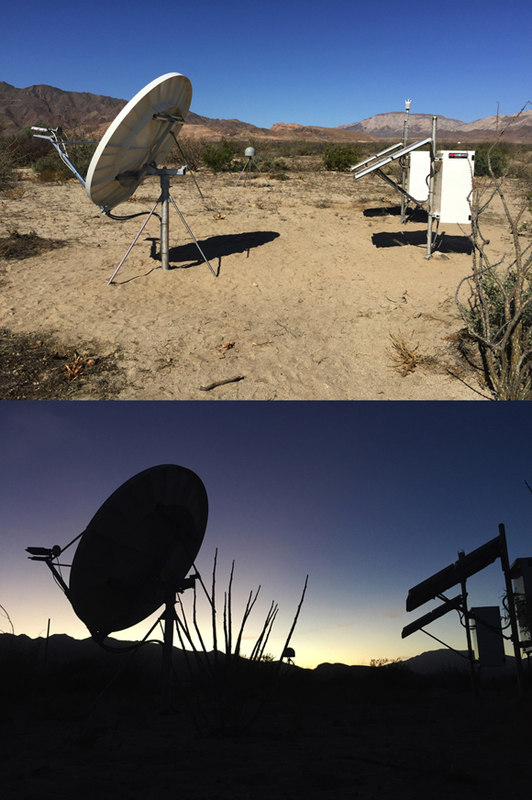 By knowing the time at which the signal is sent and received at permanent ground stations, geoscientists are able to precisely determine a positon on the ground to about 1 millimeter (or a time difference between satellite and receiver of less than 0.1 nanoseconds). Such precise positioning is utilized to determine the velocity of tectonic plates, the sudden motions of earthquakes and to estimate the terrestrial reference frame, among other things. The broadcast microwave signals are tied to onboard atomic clocks, based either on rubidium or cesium. The phase of the atomic vibrations in the clocks compose the carrier phase signal that is broadcast to GPS receivers on the ground. Here the authors use the GPS constellation to look for changes in the atomic clock frequencies that may be related to dark matter perturbations. If a dark matter wall passed through the satellite system then a certain pattern of perturbations in the clocks could be detected. First, the authors assume a model for a possible dark matter wall and second, they determine the pattern of perturbations they might detect in the clocks. 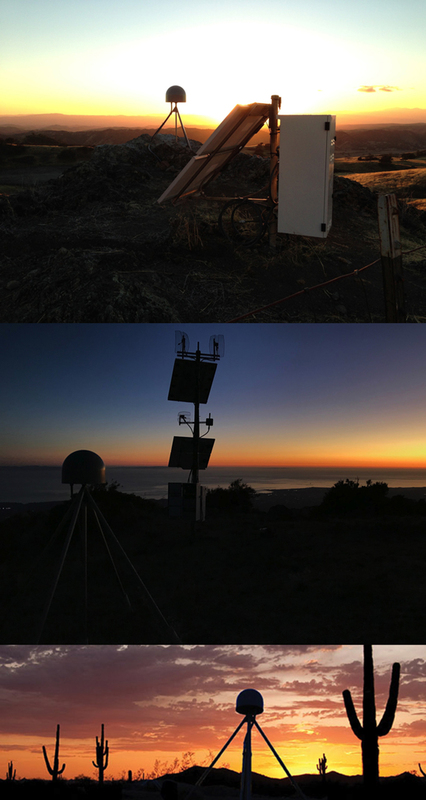 They look for any detectable pattern in 16 years of GPS observations over an aperture of 50,000 kilometers. The aperture size is based on the 32 satellites and thousands of ground-based receivers on Earth. Dark matter models predict that an ultralight field propagated through the GPS constellation at about 300 kilometers/second results in a 150 second long sweep. 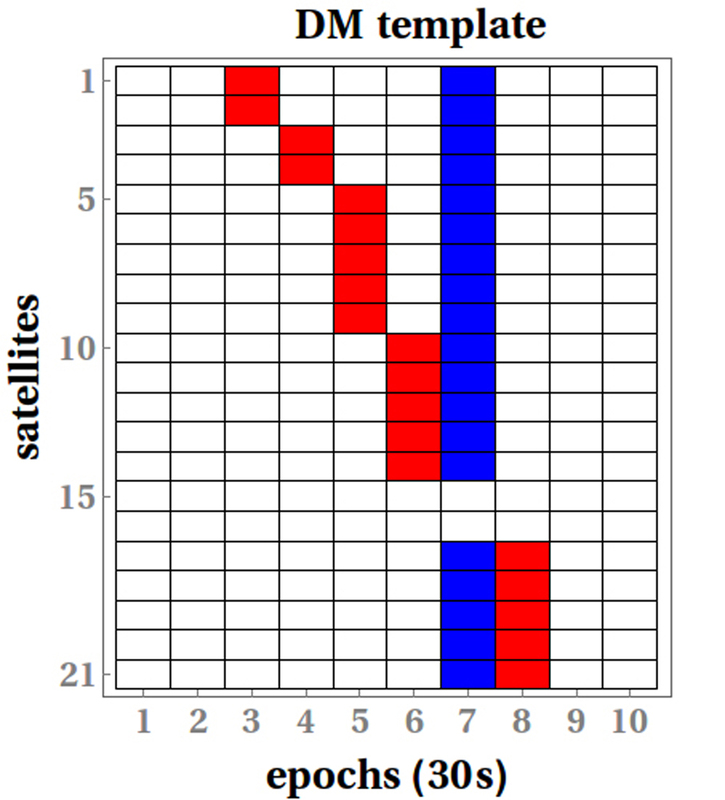 These properties create a distinct pattern of GPS clock perturbations that could be detected. Such a pattern would identify the nature of dark matter and would indicate the direction of propagation of the dark matter wall. While no pattern was detected within the limits of the assumptions and data, the study refines the possible nature of dark matter, the properties of the dark space and the precision of the atomic clocks in the constellation. Utilizing the GPS and other Global Navigation Satellite Systems is very promising for probing for dark matter, gravitational waves and other galactic scale phenomena. Search for domain wall dark matter with atomic clocks on board global positioning system satellites, Benjamin M. Roberts, Geoffrey Blewitt, Conner Dailey, Mac Murphy, Maxim Pospelov, Alex Rollings, Jeff Sherman, Wyatt Williams and Andrei Derevianko, Nature Communications, 8:1195, (2017), DOI: 10.1038/s41467-017-01440-4.